Please note that when you access and use this web site you do so subject to the terms and conditions of use set out below. Please read these terms and conditions carefully and do not proceed any further if you are unwilling to accept them. Information contained in this site is governed by the laws of Ireland. By accessing and using these pages you accept the laws of Ireland as the law governing the conduct and operation of this web site and the jurisdiction of the Irish Courts. 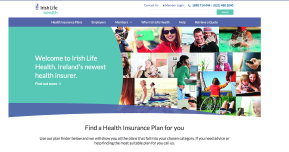 While Irish Life and its contractors have taken care to ensure the accuracy and completeness of information within these pages, visitors to this site are advised that reliance on the information contained within this site is at their sole risk and should take professional advice before acting. The information contained within these pages is subject to change and will be updated from time to time. It should be noted that web sites have, in the past, been tampered with by unauthorised persons and, accordingly, visitors should view the information provided as indicative only and subject to later confirmation. Where details are given in respect of the Irish Life Product range it should be noted that this is merely given for information purposes only and does not constitute an offer by Irish Life to any visitor to this site. Anyone requiring further information on products is requested to contact their Irish Life Account manager, or telephone Irish Life Broker Services at 01 704 2000. Anyone communicating with Irish Life using the Internet should be aware of the possibility that unauthorised persons may intercept any such email communications. In the light of this possibility, confidentiality of information transmitted in this way cannot be guaranteed. In order to process your request for a preliminary quotation, we may need, where it is considered necessary, to provide information concerning this transaction to any company within the Irish Life Group (a financial services group principally comprising Life Assurance and Personal Finance companies) or to a credit reference agency. In addition, we may hold and process information in connection with this request and may hold and process same for administrative, customer care and service purposes. By proceeding with the application you will be deemed to have accepted this condition. Parts of this website must be viewed using a Java Script enabled browser and is best viewed with screen settings set to 1024 by 768 pixels. The design and content of these pages is the copyright of Irish Life and may not be utilised, except for information purposes, without the prior consent of Irish Life. 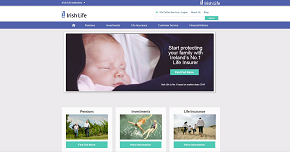 Access to and use of the Irish Life website is at the user's own risk and we do not warrant that the use of this web site or any material downloaded from it will not cause damage to any property, including but not limited to loss of data or computer virus infection. Security and client confidentiality are prime concerns in any development. Careful attention is paid to any potential risk areas and we make extensive use of technologies, such as secure certificates (SSL), to control access to the system and protect the IRISH LIFE Network from unauthorised access. The IRISH LIFE Network is protected by a firewall system, which forms a barrier between the outside Internet and the internal network. The purpose of a firewall is to ensure only authorised traffic is allowed to pass to IRISH LIFE systems and networks - all other traffic from the Internet is rejected. The firewall verifies the source and destination of each network packet, and determines whether or not to let the packet through. Access is denied if the packet is not directed at a specific, available service. The firewall is used to shield the IRISH LIFE internal network from the Internet. The security system includes the use of a secure browser to access information and perform transactions. It allows for the transfer of digitally signed certificates for authentication procedures and provides message integrity, so that information cannot be tampered with in transit. Microsoft Internet Explorer, Mozilla Firefox, Google Chrome and Apple Safari are all secure browsers. Secure browsers employ Secure Sockets Layer (SSL) technology to communicate with servers. This technology encrypts (scrambles) your information so it's virtually impossible for anyone other than IRISH LIFE to read it. Any unusual account activity or discrepancies between your records and our records should be notified to IRISH LIFE immediately. Telephone 01 704 1010. Don't share your User ID, PIN or password information. Never reveal your User ID, PIN or password information to anyone. Never write it down where anyone can find it or figure out what it is. Never access the Pension Planet Interactive site from an untrusted computer that an untrusted individual may have access to. In addition, you should make sure that no one is physically watching as you enter your User ID, PIN and password information. All use by you of this website is at your own risk. You assume complete responsibility for, and for all risk of loss resulting from, your downloading and/or using of, or referring to or relying on, Materials, Software, or any other information obtained from your use of this website. You agree that Irish Life and providers of telecommunications and network services to Irish Life will not be liable for damages arising out of your use or your inability to use this website, and you hereby waive any and all claims with respect thereto, and whether based on contract, or other grounds. 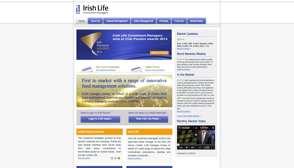 Irish Life reserve the right to change the content, presentation, performance, user facilities and availability of any part of this website at its sole discretion, including these terms and conditions of use, and you should check these terms and conditions of use regularly for any changes.